I know that's in well past Christmas and not yet Christmas in July but in case you haven't already heard about this… we have a Christmas collection due out this year and I'm so excited!! Introducing… CHRISTMAS FIGS, due out in stores in June 2018 just in time for all of those wonderful projects that all of you organized ladies and gentlemen start on in July! 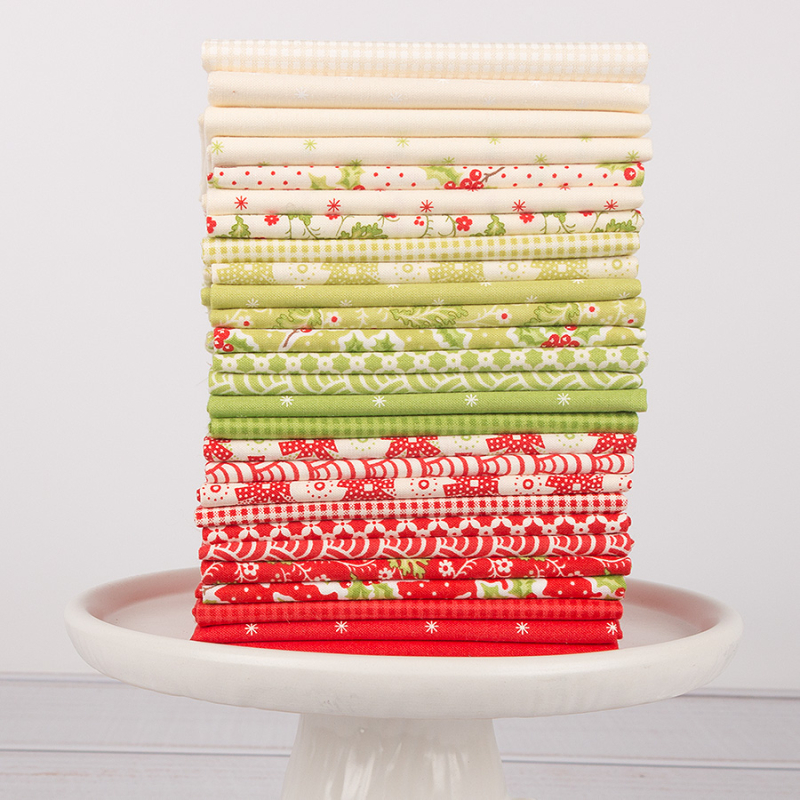 The collection is filled with fabulous red, green and ivory blender prints with a few Christmas prints thrown in. 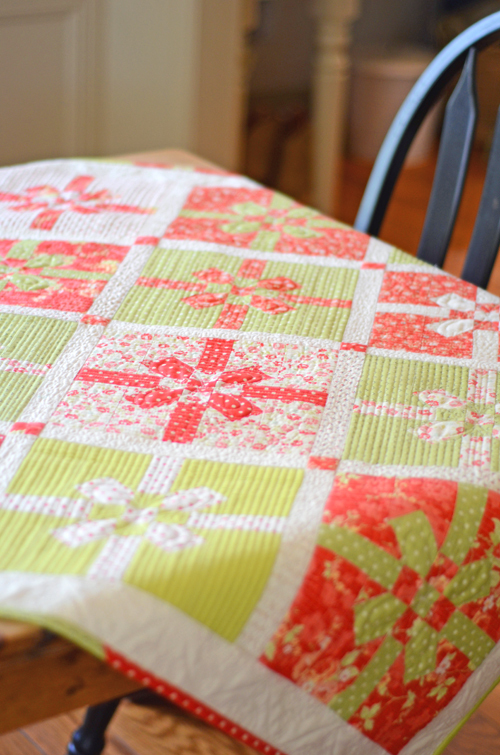 But the rest of them are perfect for those not so "in your face" Christmas projects that I prefer. The red is a wonderful cherry, Christmas red, saturated and full of warm red goodness. The greens are good strong grass and apple greens with a bit more blue in it than our standard greens. There are two tones, one a bit warmer and one stronger… both are perfect with that red! And the ivory… well it is a wonderful soft creamy color that is the perfect background to everything else! 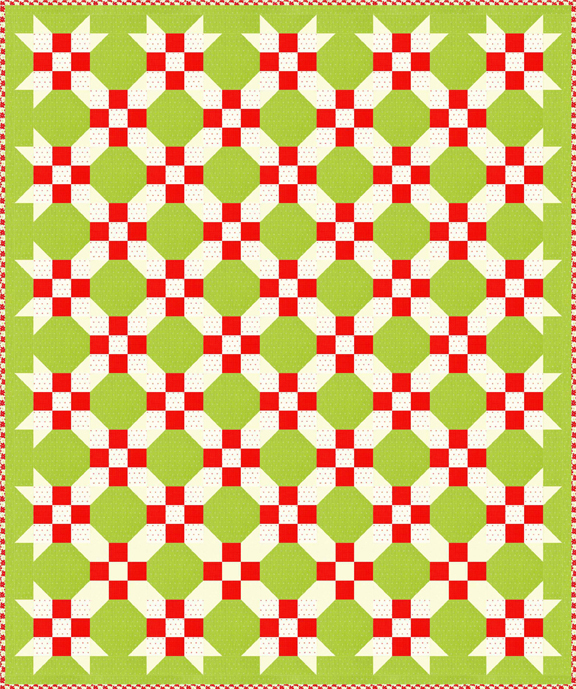 With this lovely fabric that is coming in June, we are featuring 5 PATTERNS which are now all ready in our shop. We are still finishing some of them up so more official pictures will have to come later! Available: PDF now, paper shipping in a week/order now to get yours as soon as it comes in. Click HERE. 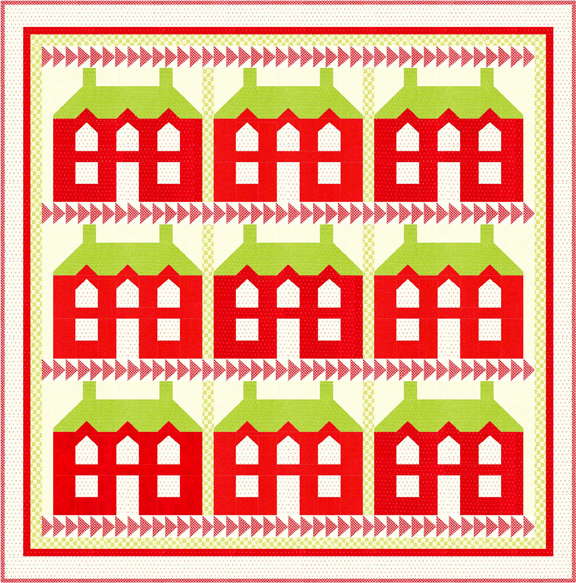 Other Info: Fabulous, graphic, classic manor houses that feature the classic red, white and green fabric combo. 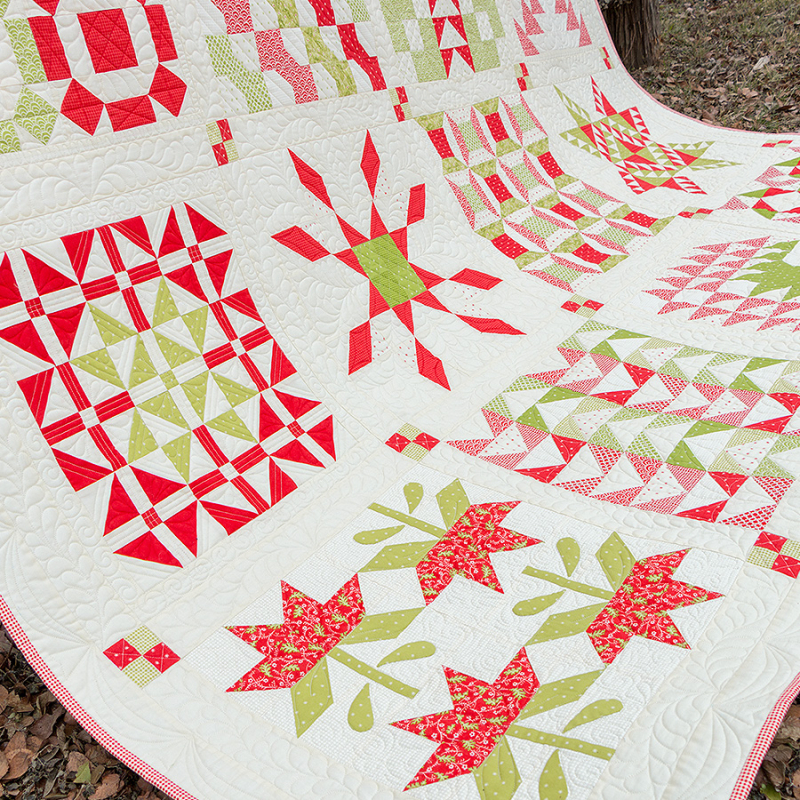 A must have in everyone's Christmas quilt collection. Other Info: You will need a variety of red prints so start collecting now or wait for the Christmas Figs collection to come out. 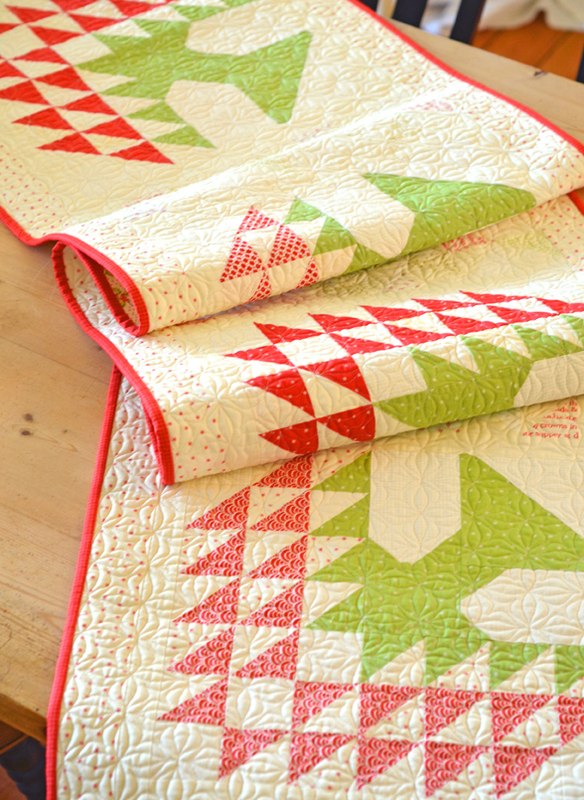 This is a fun one to add to the red and cream collection! 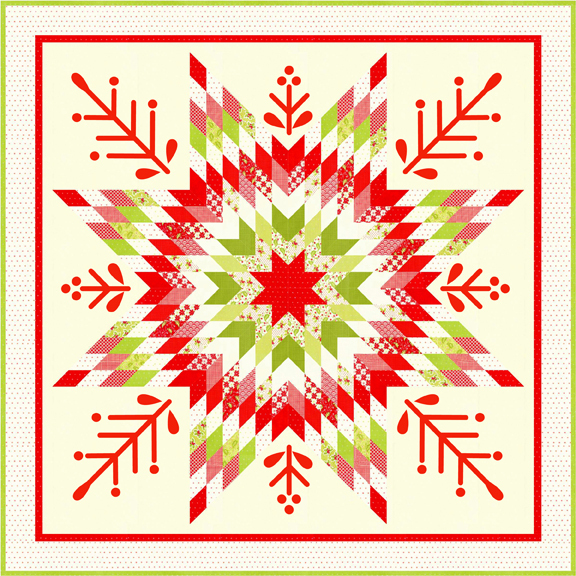 … the snowflake part is optional but does add a lot of beauty! Other Info: This is a new edition of one of our standard, classic Fig Tree patterns that has been one of our all time best sellers. This version has dozens of new hints and special tips on how to successfully work with strip sets, bias and angles. Even if you have worked with angles before we have packed this pattern with all the info we could think of to make it simple and straight forward! Available: in the shop now, paper format only. Click HERE. 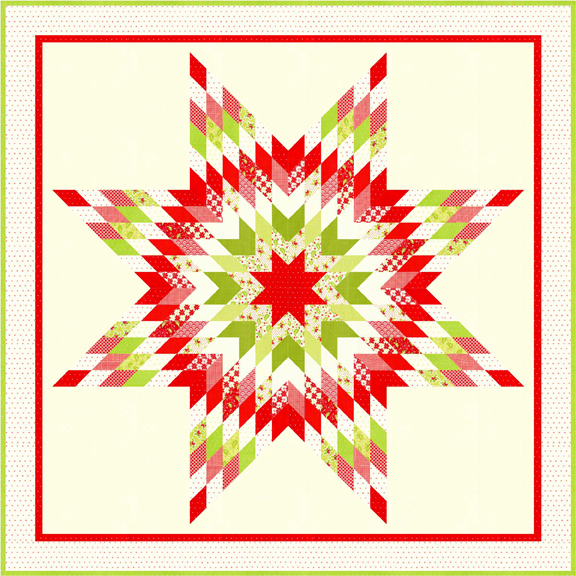 Other Info: These are the Christmas feeling quilts in a booklet that has 7 different versions of this pattern. 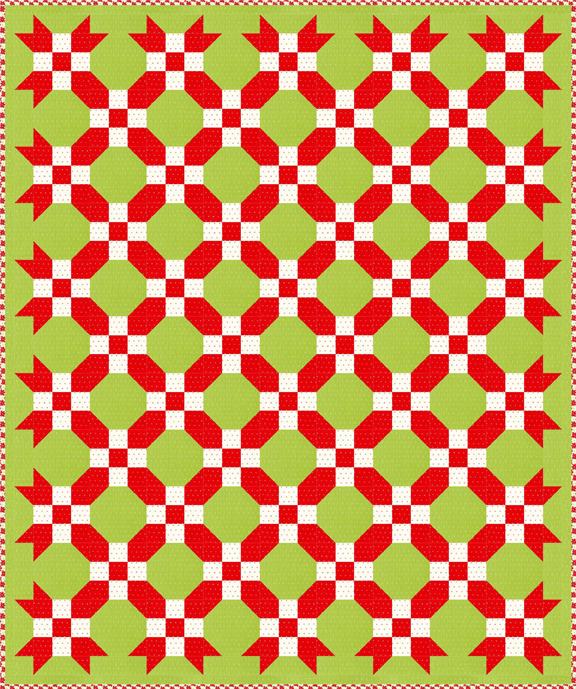 Its amazing that just by changing placement and color you can create completely different blocks and different quilts. 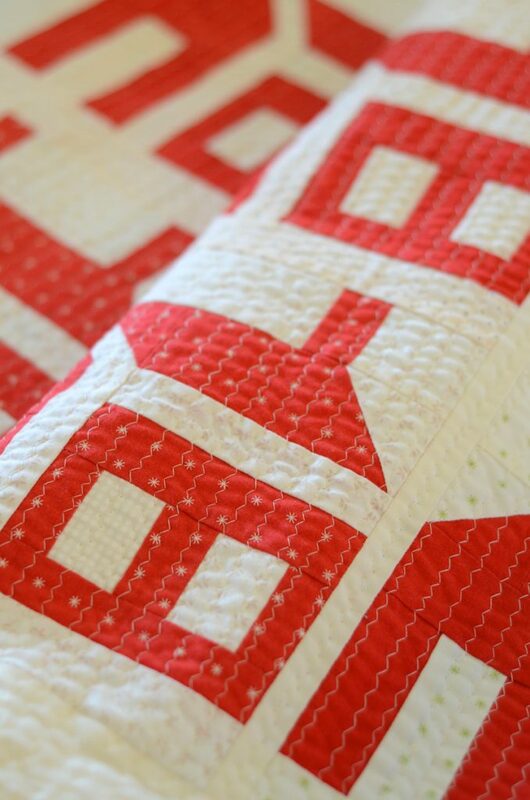 The whole book shows you how to use the same 2 blocks and simply with fabric placement create dozens of totally different looking projects. Its so much fun. If you don't already own this one, you really need to add it to your collection. 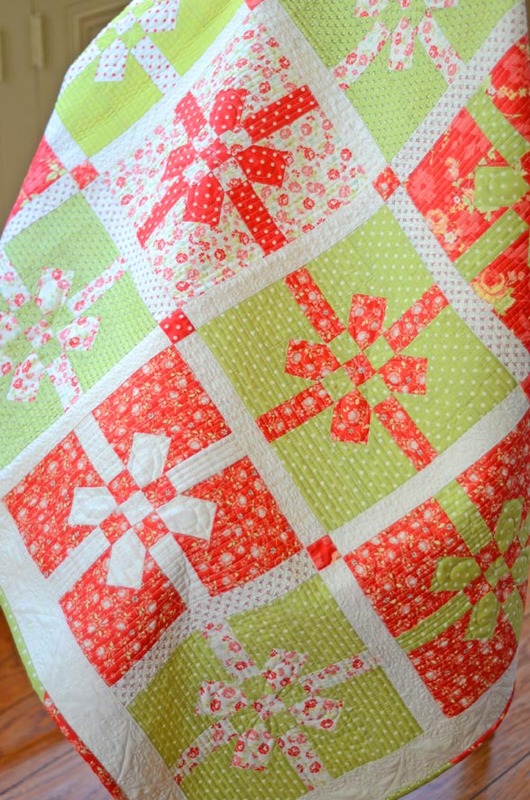 … these below are shown in different fabrics from the Christmas Figs but shown here so you can see the pattern. Available: paper and PDF available anytime in the shop. Click HERE. 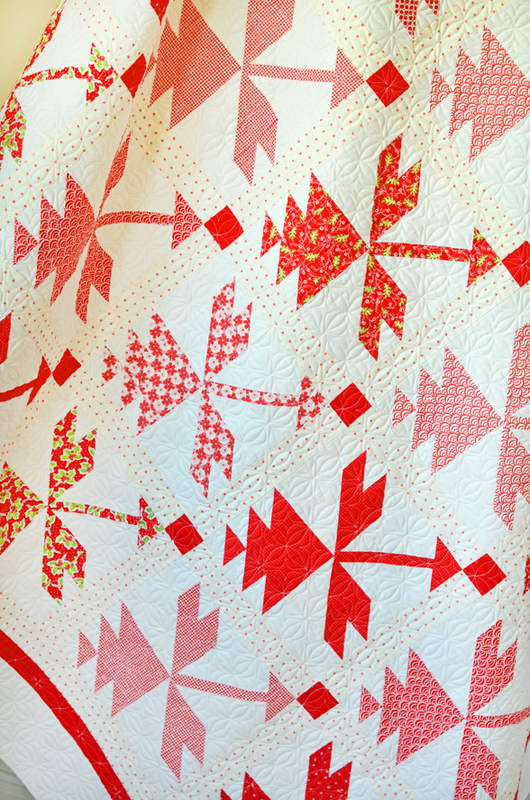 Other Info: Pattern was released last fall as a part of one of our LITTLE BOX projects. 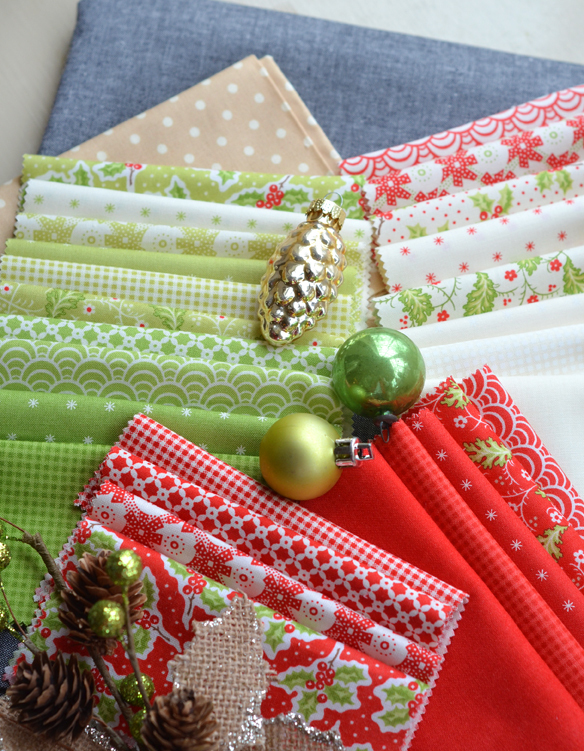 We have redone it here with the new Christmas Figs fabrics for those of you who missed and would like to work on a fun simple Christmas project this year. Several of those above patterns are available for A LITTLE BIT LONGER as PRE-ORDER KITS that will ship when the fabric arrives in June. They are basically like a lay-away program that you start now and pay on monthly until the kits ship! THE TIME TO ORDER THE PRE-ORDER KITS IS ALMOST DONE. So if you haven't ordered and are interested, please do so right away! 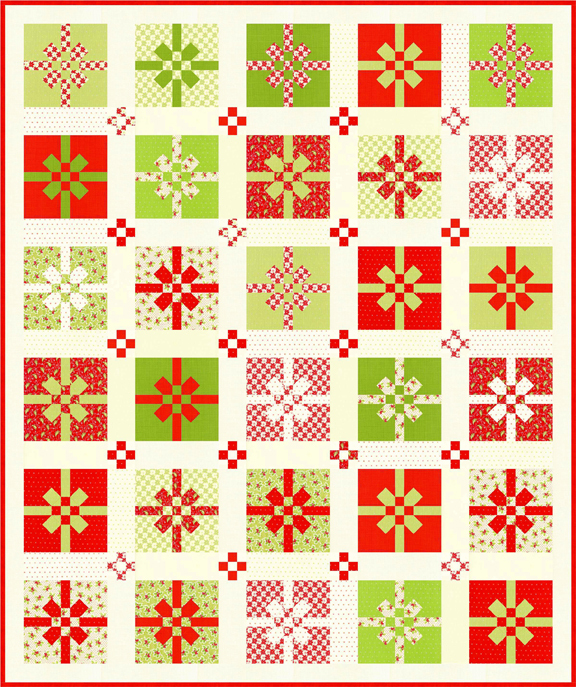 PRE-ORDERS include: Christmas Flowers, Christmas Manor, Yuletide Snowflake and Christmas Figs Fat Quarter Bundle. CLICK HERE for more info on those kits. 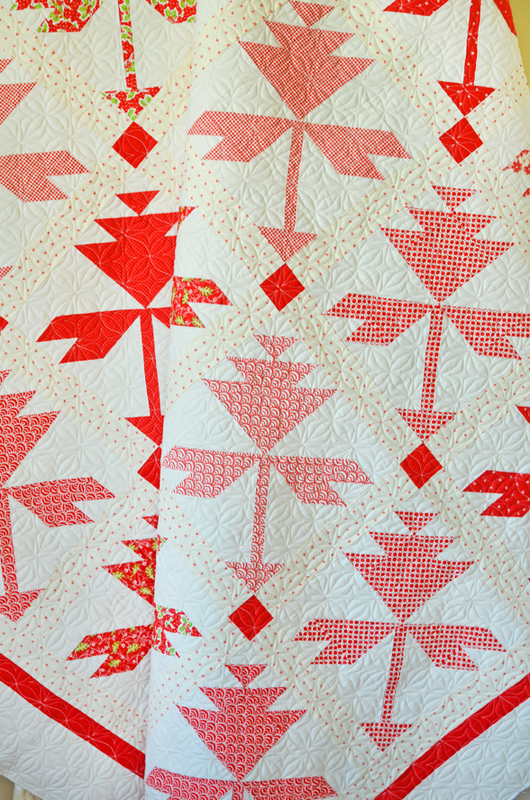 We have partnered with the lovely ladies at the Fat Quarter Shop and published our popular Classic Yuletide block of the month program as a book entitled Christmas Figs BOM [ just like the fabric that it is created with]. 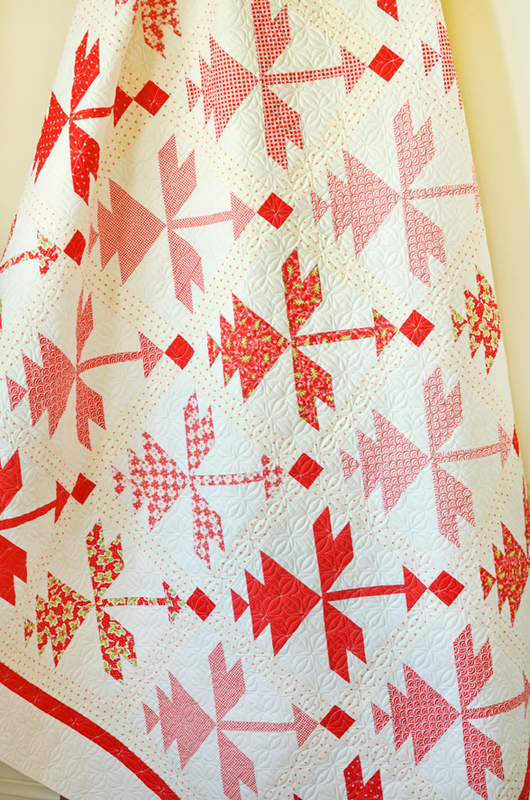 The book is due out in May to coincide as closely as possible with the fabric. 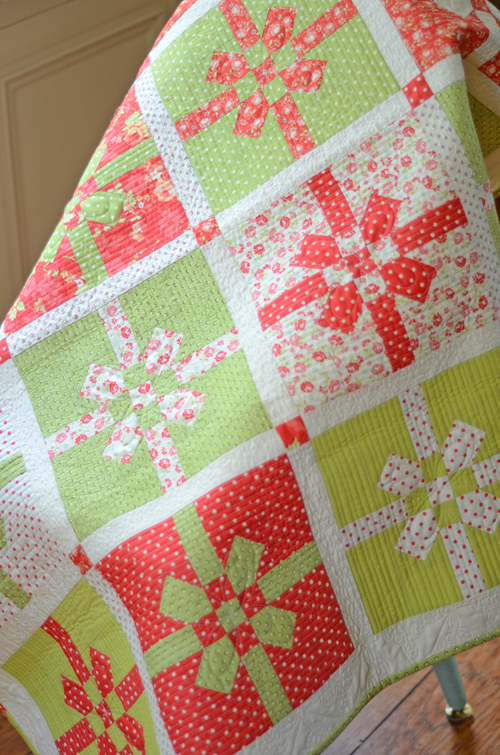 The book consists of the full sampler quilt as well as 10 extra projects with some of the individual blocks from the book. Wow… we are loving how it is coming together! 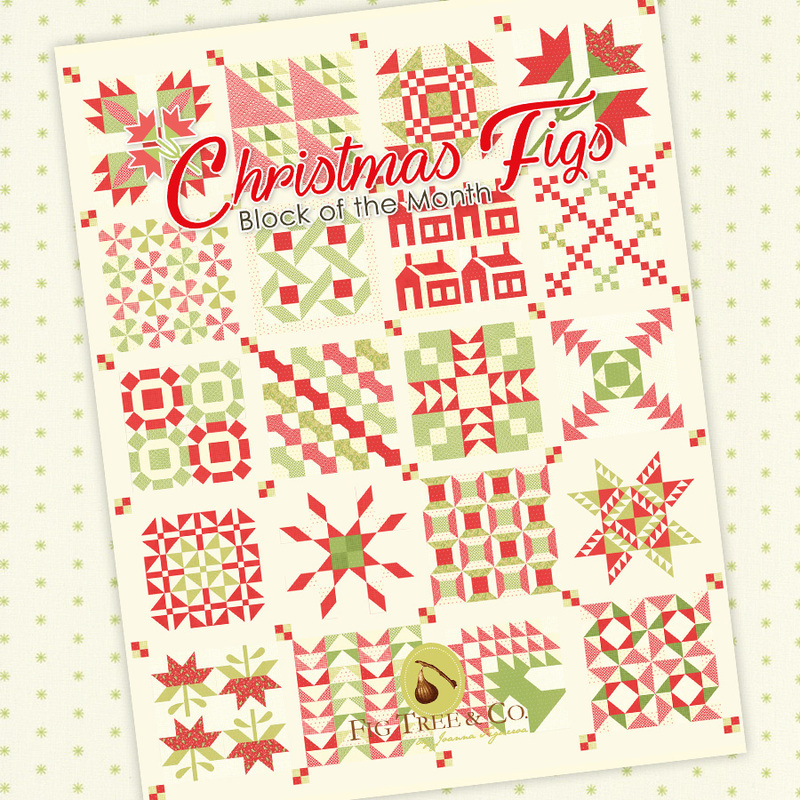 And I do believe that the Fat Quarter Shop is also running this book as a BLOCK OF THE MONTH through their store with the Christmas Figs book and fabric… What could possibly be better?? ?… check it out HERE if you are interested. Or to PRE ORDER the book, click HERE. However the program is already full at this time. If you would like to be added to the wait list, we would be happy to add you… just email joanna@figtreequilts.com to be added to the wait list. 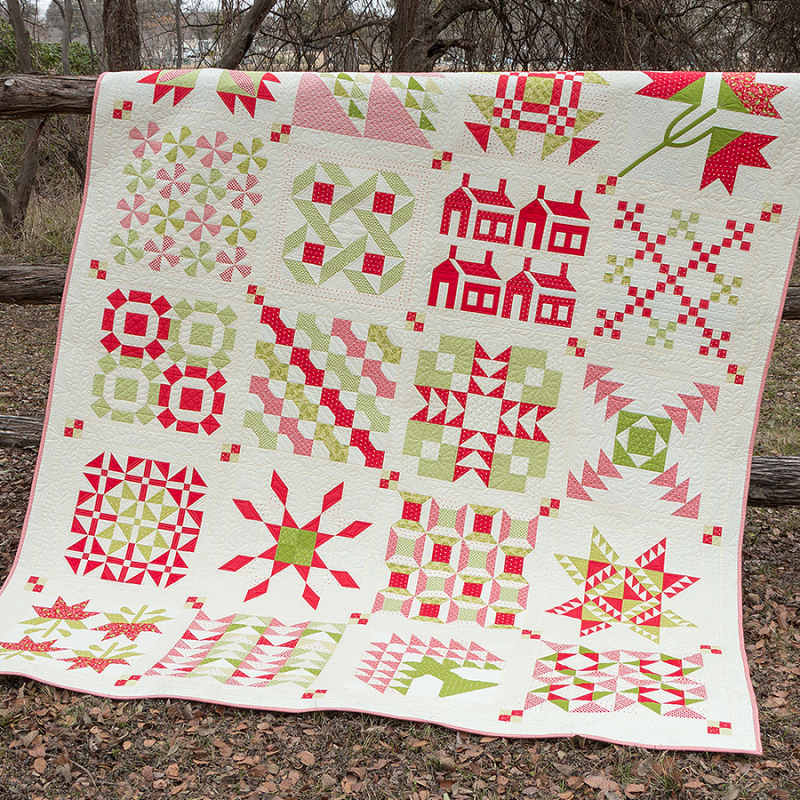 CHRISTMAS FIGS fabric coming in June 2018. 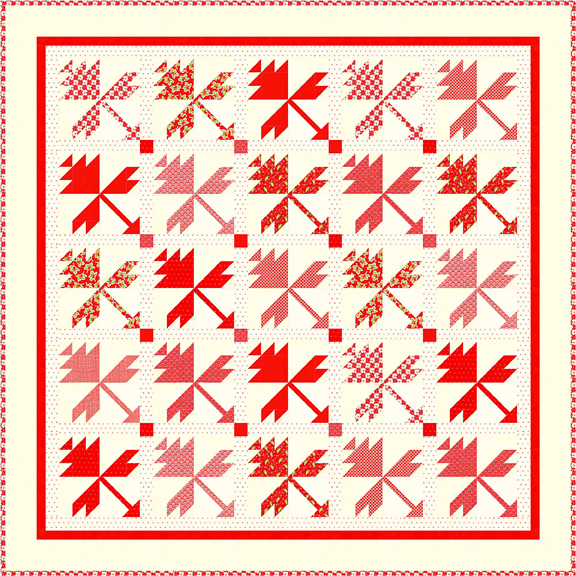 CHRISTMAS FIGS related patterns available now in our shop through links above. 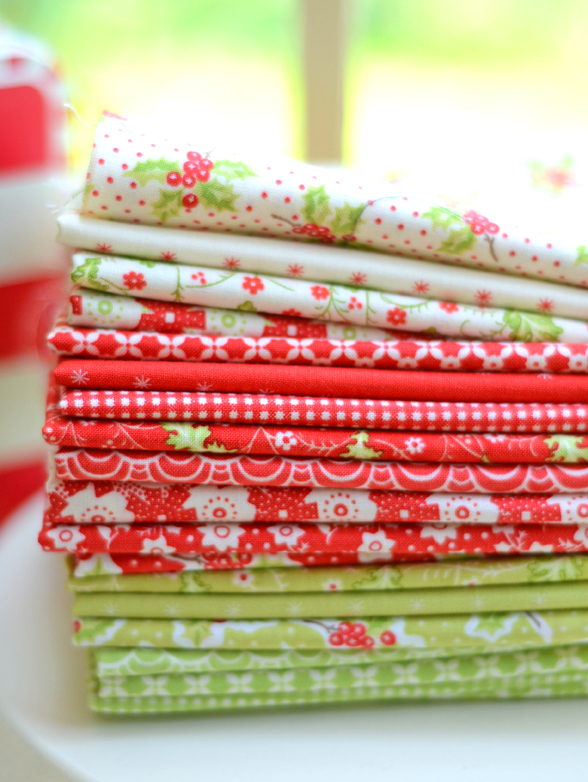 CHRISTMAS FIGS PRE ORDER KITS available now in our shop for a few more days before they close. Will ship in June. 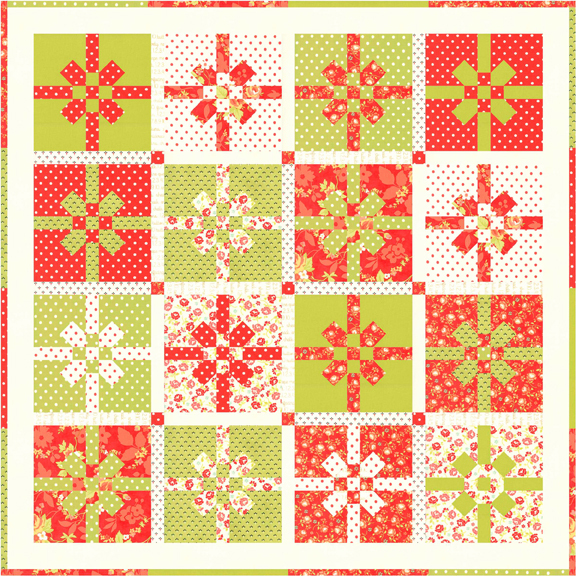 CHRISTMAS FIGS book produced by It's Sew Emma and available in May. Pre orders available now through FQS. 2 DIFFERENT CHRISTMAS FIGS block of the months available through FQS and through Fig Tree but ours is full so add yourself to wait list. 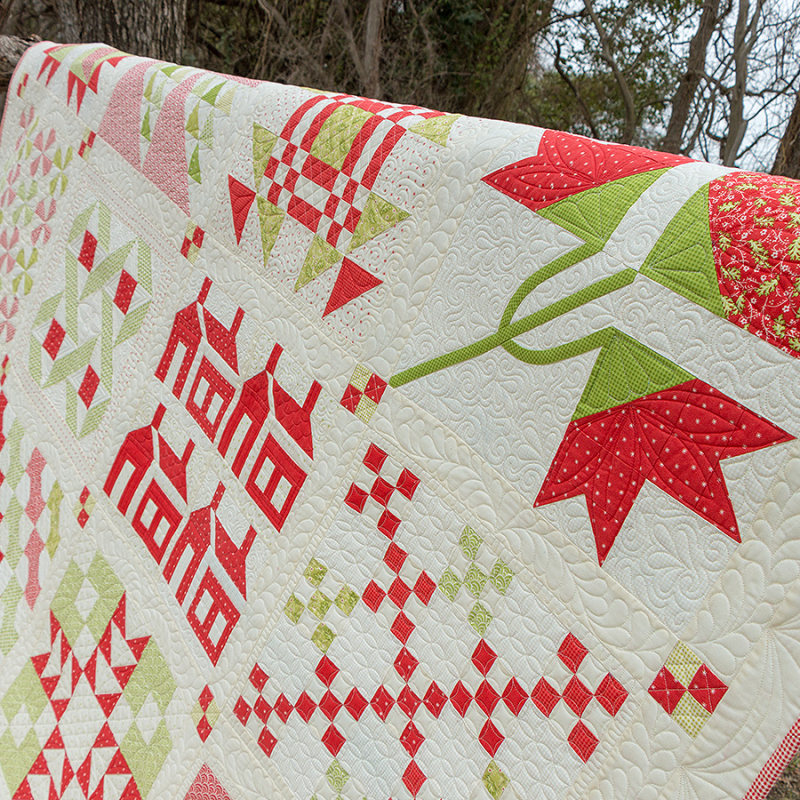 As soon as we have more photos of the quilts, we will share those too! Oh my, oh my…..And everything that’s holy…. How beautiful ate those fabrics!